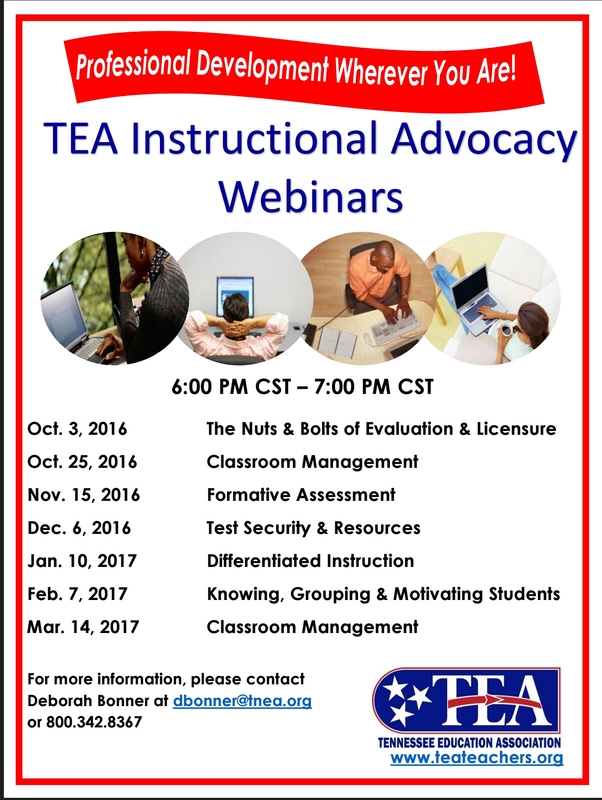 TEA Instructional Advocacy is pleased to offer new webinar topics this academic year to support teachers in their instructional practice. Our sessions cover a wide range of topics from Classroom Management to Differentiated Instruction. The webinars are open to all TEA members and participants will be able to access the materials after the training. We are excited about these professional development opportunities and hope that you can participate.